User can set their own preference for the default map style. Dark, Light, Flights Radar Custom Dark, Flights Radar Custom Light options are available. 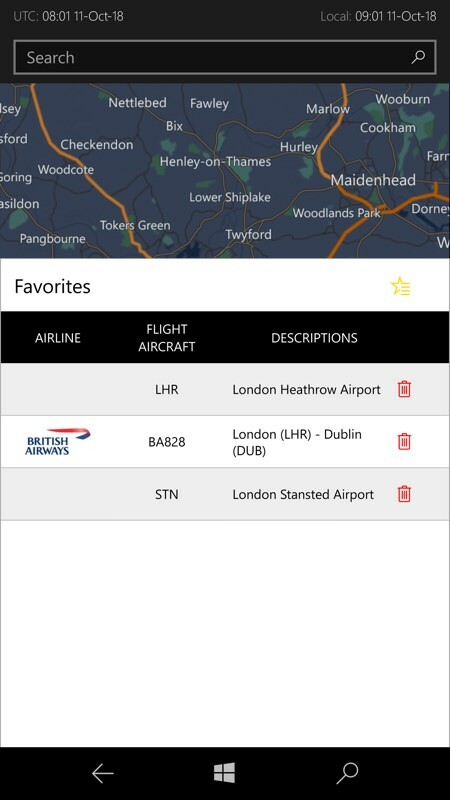 Favorite List make tracking favorite flights, aircrafts and airports easy. 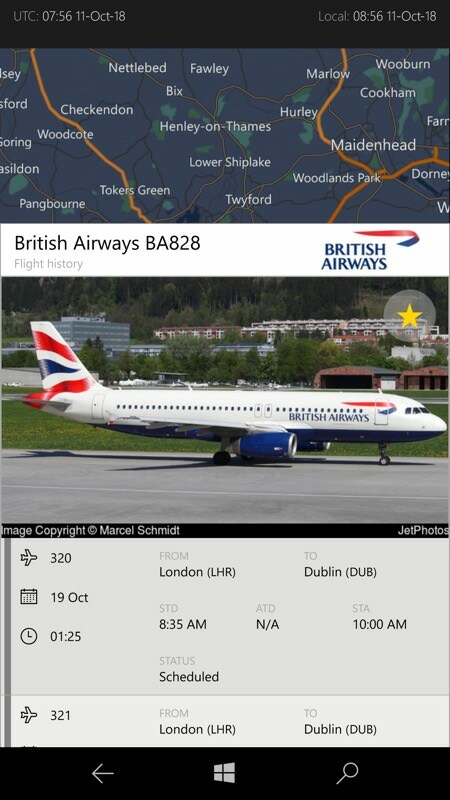 Auto scrolling for aircrafts and flights photos. 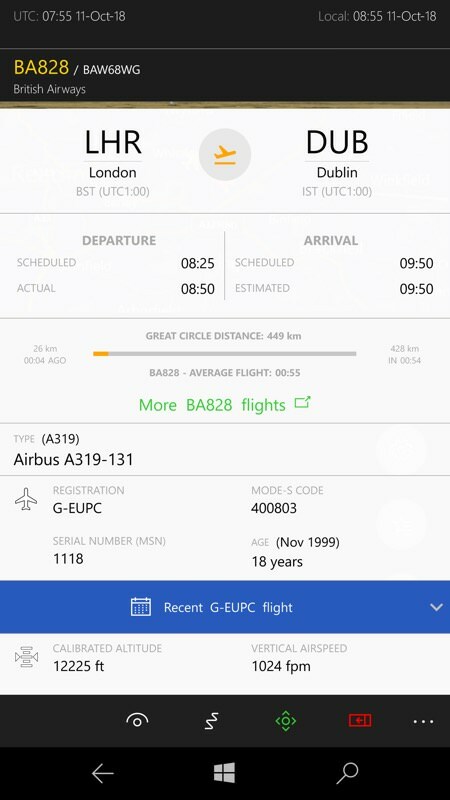 New trial visual for live flights by airline. 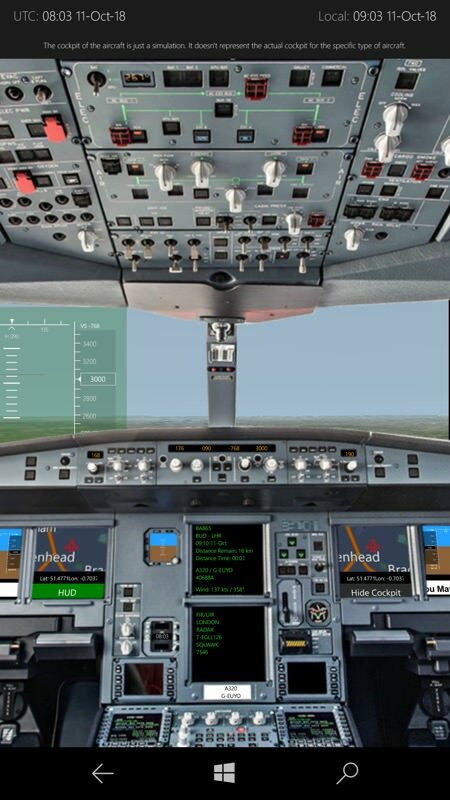 New and realistic cockpit photos are used. 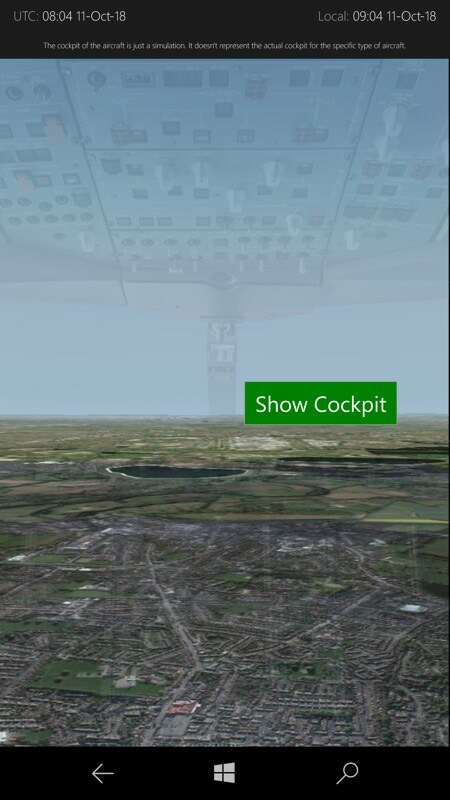 Option to turn off cockpit mode when in cockpit view. Easy to exit cockpit view. Improved UI to display more information. General information about airport is now available. Better visual for flights that are still live. Departure Terminal and Gate is now available. Detailed weather information is now available. Phew! Quite the update. 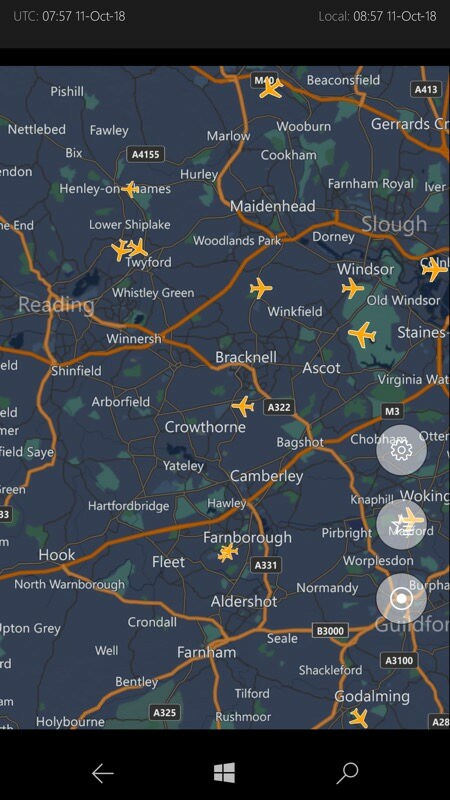 Flights Radar UWP is still a little temperamental on the phone, pushing RAM to its limits, so it pays to use Windows 10 Mobile's multitasking carousel to close down other large applications (e.g. Outlook, Edge) before starting it. Just a tip. When drilling down to specific flight numbers (e.g. the same flight each day from a particular airline) or viewing a specific airport, there's the option to 'star' (favourite) it, as shown here. 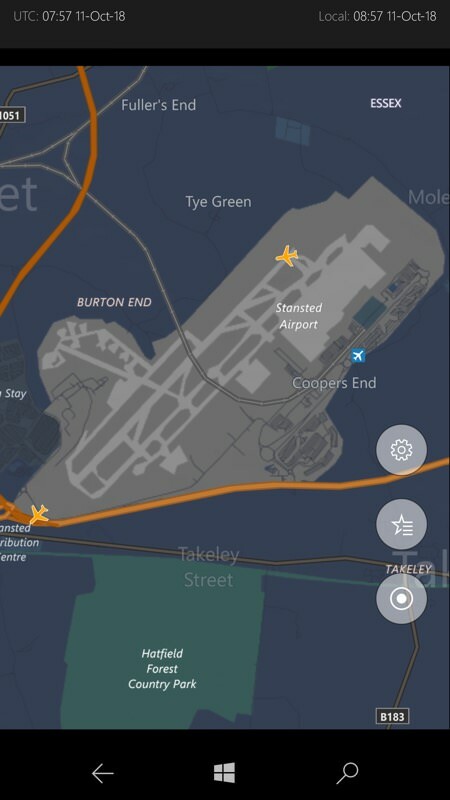 Digging down for a specific flight, showing typical live data, matching up with the on-map and cockpit views; (right) it's fun to zoom into the maps to see detailed airport layouts (thanks to Windows 10 Maps) and then see how well the 'live' plane thumbnails track across the runways. 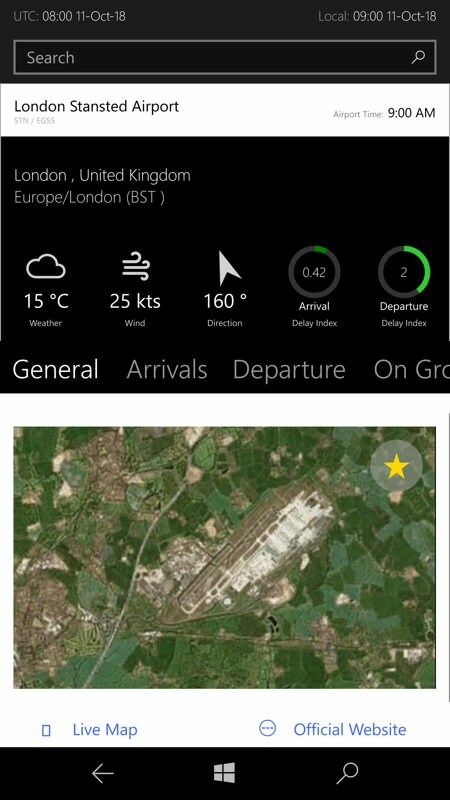 You can download Flights Radar UWP here in the Store. If you miss out on the freebie codes below, I suggest you pay the small in-app-purchase to get rid of the ads and to support the developer. You can best chat to the developer on Facebook here. There's still plenty to do in terms of stability on the phone, so do get involved. 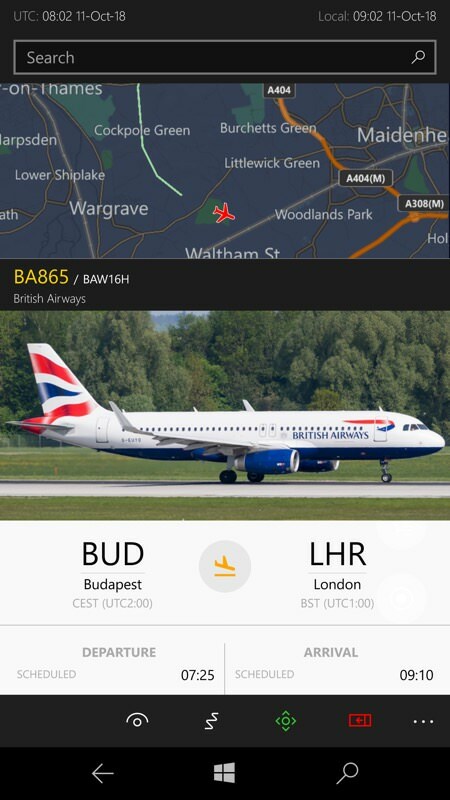 Bugs I've noticed still include the Search box going missing and requiring an application restart, the keyboard popping up when it shouldn't, plus it's far too easy to press 'Back' on a flight details pane and switch back to the Windows Start screen. Should a single application be this temperamental in terms of free RAM? 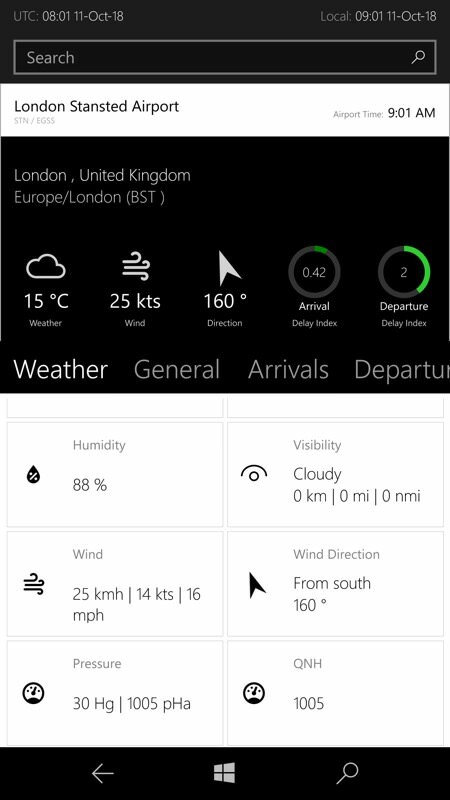 That's probably as much a question for Microsoft, as Windows 10 Mobile's architects - but in late 2018, there's no way to rework this, so you'll have to live with a little running-app-juggling if you want a fully stable Flights Radar experience. PS. Having chatted to the developer, and partly to help enthusiastic users feedback further bug reports, he's offering 10 free upgrades. Use this Promo Code: JR4MH-KPTX3-36RHY-3TT7K-32RXZ or use this link: http://go.microsoft.com/fwlink/?LinkId=532540&mstoken=JR4MH-KPTX3-36RHY-3TT7K-32RXZ to remove the advertisments. This link valid for 10 activations, so it's first come, first served. Please comment below if you're the 11th and the activations have all been used up! Then, for activating the premium features, he's offering five free upgrades, use the following code: 6PPY4-KRGQF-CR3RK-H72FW-4MWCZ or the link http://go.microsoft.com/fwlink/?LinkId=532540&mstoken=6PPY4-KRGQF-CR3RK-H72FW-4MWCZ . Again, let me know when these have been used up and I'll remove this text.